Sarah Earnest was born and raised in northern Virginia and moved to San Diego in 2003. She graduated from Guilford College in 2001 with a B.S. in Psychology and Criminal Justice. Sarah has worked in the legal field since 2003 as a Legal Secretary and Paralegal in transactional and intellectual property matters. In 2008 her paralegal duties expanded to include litigation cases, primarily involving business and contract disputes. Since joining Walton Law Firm Sarah has enjoyed assisting the attorneys in personal injury, wrongful death, nursing home abuse and neglect, and commercial real estate litigation matters. She is involved in each case that comes into the office and interacts closely with the clients. In addition to assisting Mr. Walton as a Paralegal, she is also the Office Manager. 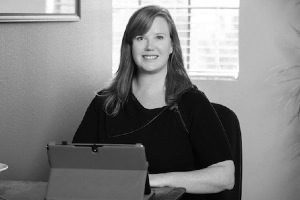 Sarah is also a licensed and bonded Notary Public and a member of the National Notary Association. She is available for notary services.